Hey everybody! It's late and I have got to hit the hay so this post is going to be short and sweet. I made a couple of holiday cards last weekend that I haven't had time to share yet so here's the first one. 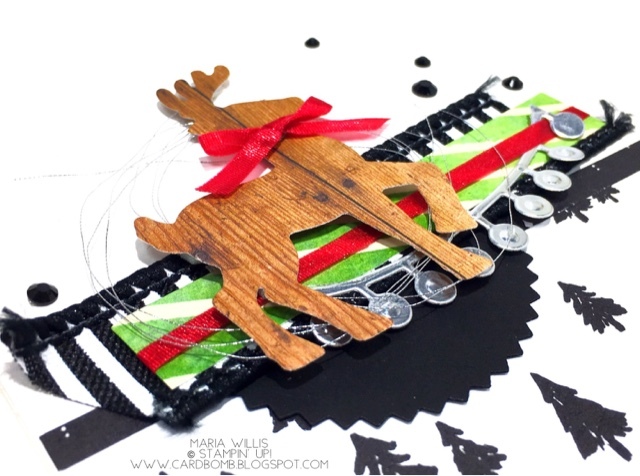 I'm trying to use up my DSP and ribbon so I did some layering for this fun card. black and white Striped Ribbon and some Real Red 1/8" Ribbon ( I love this ribbon). 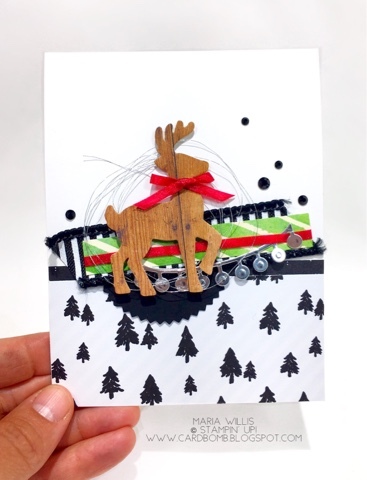 The black rhinestones were the perfect embellishment to pull this card together. Ok, you guys! That's really it for today as I am off to bed! If you have any questions please let me know. As always, if you'd like to purchase any of the products that I've used today please click the "Shop Online" button below or email me for help.